Poggenpohl was born in 1892 in the heart of Germany, Poggenpohl is the oldest kitchen brand in the world. For 120 years, the kitchen manufacturer followed in the footsteps of its great founder, Friedemir Poggenpohl, to ‘improve the kitchen’. 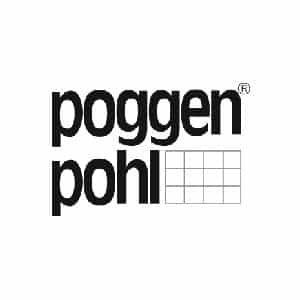 Since the founding of Poggenpohl, it has acted as a pioneer in the world of kitchen making, creating the first unit kitchen, the first white lacquer furniture, and the first island kitchen. These introductions have transformed the role of the kitchen within the home. 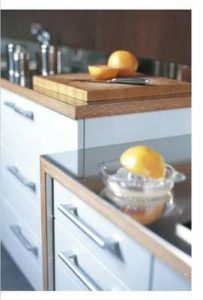 Poggenpohl combines this philosophy about improving kitchen living with the use of cutting edge materials and trend setting design to create extraordinary kitchens. Poggenpohls goal is perfection. The company achieve this through an uncompromising attention to detail. Both in the quality of its products and the service that Poggenpohl offer. 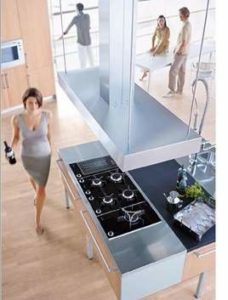 That is what Poggenpohl stand for and what it continue to strive for – transforming kitchen living through delivering perfection in quality and leading edge design solutions. At Poggenpohl, we have been in the forefront of a revolution in interior planning for over 120 years, removing the barriers between kitchen and living rooms to create an environment that is both inviting and logically laid-out. We work with leading designers and organisations to reinvent the kitchen, enabling our customers to use the space for cooking, relaxing and interacting with others in a more rewarding and creative way. With Poggenpohl, the kitchen is no longer just a place to cook – it’s a living space. NEED MORE POGGENPOHL INFORMATION ?